Home > bum wine > guest bloggers > Bum Wine Spotlight From Across The Pond! Bum Wine Spotlight From Across The Pond! Over here in the United Kingdom the bum wine landscape is different to the States. Here bum wines of legend like Thunderbird and Wild Irish Rose are rare and getting rarer, requiring pretty intense detective work to track down. Our supermarket chains keep the outdoor-drinker flag flying, however, with each one boasting a range of fortified wines and other liver-ruiners to mess up your weekend and ruin your shirt, and here’s two of them! ASDA is a member of the Wal-Mart family, and boasts such quality drinks as Scotsmac (a weird whiskey/wine mix that is scarily drinkable) and Mansion House, a truly disgusting fortified wine that leaves the tastebuds wanting to kill themselves. Having suffered/enjoyed both of these recently I plumped for Club Royal Original Pale Cream, a 15% abv fortified wine that’s at the higher end of their bum-booze spectrum in terms of price, but just as rough in the quality stakes as the rest of their bum wines. Club Royal smells like you could run a motorboat on it. It’s got the sickly, sugary Thunderbird scent down perfectly, the “say goodbye to your teeth and job” smell that marks a particulary hobo-y drink. In the first taste it’s clear that the slightly marked up price (just under £5.00) is mainly for the label, which is really classy if you only look at it sideways for like five seconds. 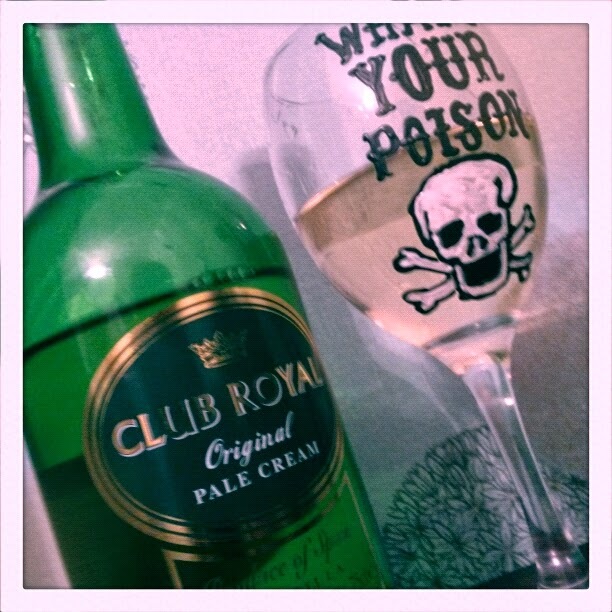 Club Royal is a bum wine in the spirit of Thunderbird, it tastes like being shot in the face with a gun made of sugar and instantly makes the throat and chest burn like you’ve drank petrol. The aftertaste burns a little but quickly dies down, making for fast drinking and faster barfing at the end of the night. Club Royal is sickly, sugary and chuggable, although you may hate yourself for it in the morning. From ASDA we go up-market to Sainsbury’s, a supermarket chain that thinks a lot of itself but still can’t get away from selling Tudor Rose, a red (more dirty brown, if we’re honest) British wine that weighs in at a relatively weak 13% abv. It doesn’t have the same ten-bags-of-sugar-to-the-face nasal wallop as Club Royal, instead its scent is more “roasted sack of chemicals”. The taste is saccharine, bitter and sour, more like apple juice that’s been left to go really, really, really bad in direct sunlight for a year than the “imported grape juice” used in the production of Tudor Rose. And yeah, you read that right. Not even imported grapes. Just their juice. Tudor Rose is bad. Not even the entertaining badness you get from a film with “Megashark” in the title. It’s just bad. 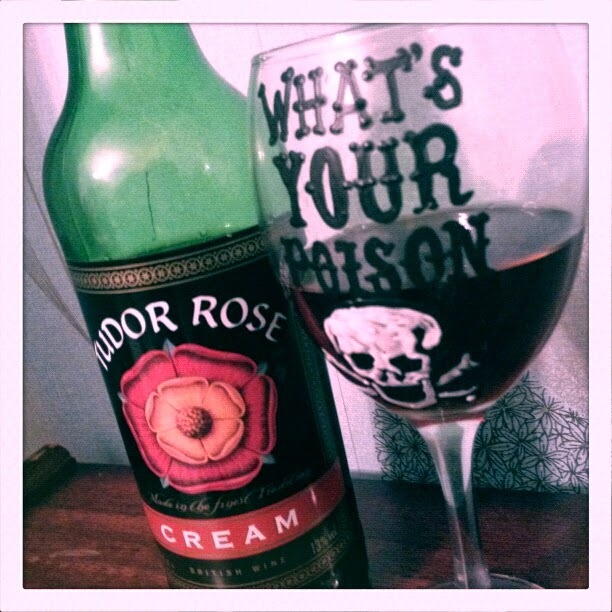 Tudor Rose feels like it starts to collapse back into its component parts even as it hits the tongue. It ends up feeling like a grainy landslide of burned and chopped shoeleather, sluiced down with over-the-counter cough medicine. If we make this a contest, and why the hell not, then Club Royal is the clear winner. After a few glasses of Club Royal it’s easy to feel like some kind of alcoholic superhero, ready to throw empty bottles at injustice. After a few bottles of Tudor Rose it’s easy to feel like just giving up on life. 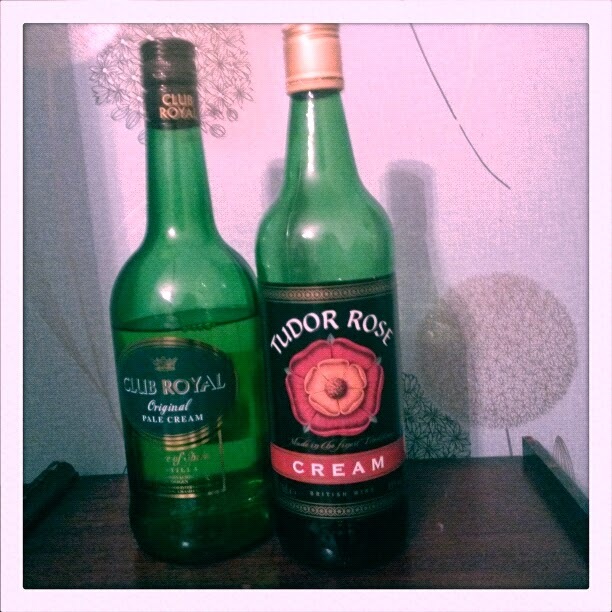 There’s an instant buzz on drinking Club Royal, and an instant “meh” on drinking Tudor Rose. Give it up, ladies and gentlemen, for ASDA’s bum wines. And in your face, Sainsbury’s. Not so fancy any more.